Home visits can be arranged by telephone or email. Southampton City Council 1991 – 2008. 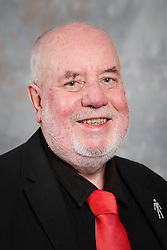 He was Vice Chair of Leisure Committee, Vice Chair of Housing Committee and Chair of Housing Scrutiny Panel. He has an interest in Housing, culture, Health & Social Services and Community Development. Currently - Member of the Employment & Appeals Panel and Labour Group Chief Whip.